London based 21-year-old singer/songwriter Sallie Foyeh is ready to unveil to the world the material she's been working on. 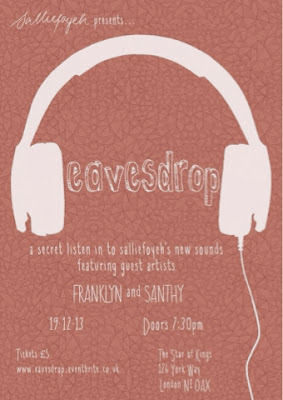 Foyeh will hold an event this December to showcase her new music in support of her debut EP ‘Eavesdrop’ out in February, 2014. This will be her first solo show with a full live band. Tickets are only £5 and can be purchased HERE, come out for a nice night out in London to support homegrown talent!